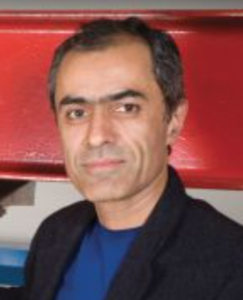 Masoud Ghandehari serves on the New York University Faculty of Engineering as associate professor of Urban Systems Engineering at NYU Tandon and at the Center for Urban Science and Progress, where he works on the applications of advanced instrumentation and data analysis targeting the aging, health and performance of infrastructure systems. He in interested in research methods that helps better understand the interaction of physical, natural and human systems. His research in optical spectroscopy, sensing, imaging, and data analytics in the field of sustainability has been applied to diverse environments and multiple scales; ranging from the molecular to the urban landscape. His recent book is entitled Optical Phenomenology and Applications: Health Monitoring for Infrastructure Materials and the Environment, published by Springer Verlag in 2018. $2,100,000 (NYU share $750,000). Ghandehari Co-PI, Collaboration with PI Jorge Gonzalez (CUNY), Co-PI Agamy Reddy (ASU), and Co-PI Eric Klinenberg (NYU Arts and Science). IUCRC (Industry University Collaborative Research Center) Planning Grant for: Center for Building Energy Smart Technologies (BEST). $30,000, 8/2018-12/2018. Full proposal due 12/2018. An East-West Collaborative, BEST East CUNY and NYU (PI Gonzalez Co-PI Ghandehari), BEST West UC Boulder and ASU (PI Krarti, Co-PI Reddy). Functional Optical Probes for Monitoring the Subsurface Environment, award #0627312, 2007-2008, $45,870, Ghandehari PI, Collaboration with Co-PI Dino Kostarelos (previously at NYU, currently at University of Houston).